99designs is a vibrant online community that connects people who need something designed. "Good results, but complicated old school process"
Access to a large number of talented designers that would be difficult to reach otherwise. The results were above my expectations and returned very quickly. It was relatively easy to filter through low quality results and narrow down the selection to just a few high quality designers that I continued to work with. I think the chat feature is somewhat broken in terms of UX design. It suggests to be a chat but new responses don't show up, you have to reload the page manually. Notifications are partly for comments in conversations and partly for comments on individual drafts which makes handling error prone. 99Designs should make the messenger a real live-chat feature. E.g. in an overlay box next to the designs, but always just one conversation per designer, not per design draft please. 99Designs should let go with those strict rules that make clients feel like in a prison. People like me want to communicate freely. It's my own risk to have conversations outside 99Designs anyway, so why do they threaten me if I want to? Proxying/censoring all conversations is not the way to go to earn trust from clients. Make sure your specifications are complete and well thought through. That saves time and avoids conflicts with the 99Designs staff later. Alterations of the specifications are not welcome and designers get their drafts deleted if they exceed the scope of the specified project (even if designer AND customer welcome them). Time savings when finding and hiring designers. Bigger variety of ideas and drafts than when working with just one designer or agency. "Convenient Logo Outsourcing Marketplace for Businesses and Freelancers"
I like how 99Designs have grown from simple contest site to one if not the biggest marketplace for creative design. I myself have bought great creative work for our campaigns and have made tremendous success working with impeccable talents all over the globe. They have escrow system that will ensure you get the best possible deal without being run-over. You can opt for a blind contest to make sure the entries are unique and it follows your strict brief. You can be very specific with your brief and still get great results. I used 99Designs everytime we have huge projects and market launches. I have several freelancers of my picks ready to be hired, and they are all thanks to 99Designs. The betting process takes some time, but of course everything that is worth it really does take some time. But when you have a tight schedule, better improve their betted freelancers if people are wary of running their own contests. That's just one thing I noticed, but aside from that, nothing much that will hinder a good result from them. Yes, 99deisgns have grown from its humble beginning to one of the largest freelance marketplaces in creative space. Highly recommended especially when you are in doubt about outsourcing your work. A lot, if I mentioned all, it would take a whole day. It saved our department a load of money hiring an in-house talent that usually is not a good fit for how we wanted it to be. Since we are a department of resul-basis, we like to keep things simple. So we decided to outsource the creative work, and we found 99Designs has a huge marketplace of talents and creatives we can choose from. We can be very specific with our brief and still get it on our target schedule. What Freelance Platforms solution do you use? "One-stop shop for high-quality custom designs"
Customer service and communication efforts always exceed expectations. We have been utilizing 99Designs for the past 3 years for all of our banner creatives. Would recommend this platform to anyone and everyone. Sometimes when we have a tight deadline it can be difficult due to the betting feature for freelancers. Overall NetReputation as a company admired the work 99Design does. If you are seeking a design to make a quick yet high-quality engaging creative we highly recommend that you check 99Designs out. Zero commitment you can hire as you please. As a startup company, we sometimes have a limited marketing budget. Being able to connect quickly with a freelancer at a fraction of the price as hiring an employee is an excellent feature for SMBs like us. "Good Cheap Brand Building Platform for a Starting Point. " The way you get to choose to explain in a seamless way, what you want your brand to look like to the people who are going to help you create your brand. I liked the way you could speak to your designers in order for them to change what you did and didn't like, so they could improve and upload a better logo. I liked the timing for both the "manager" and the "designer", giving us a time frame to do things and when to do the things we need to. The fact that the people creating a logo are just recycling something they have used in the past without looking at the title of your project. The fact that the "designers" grab existing well-known logos and use them as their own. example: I had a person try to sell me their idea with the adobe creative suite logo edited. I disliked that the designers had no experience and were not interested in helping my brand but were more interested in the money on the plate. I would do a little bit more research before getting into this site or get real designers that are committed to making your brand stand out from other brands. These designers are just in for the money and not much for the design of the brand you are seeking or for your company's culture. An adjacent company needed a new brand look to better portray their business to their clients. We needed something that could differentiate this company from us. "Great website for professional designs"
The way of getting professional designers is more easier now. 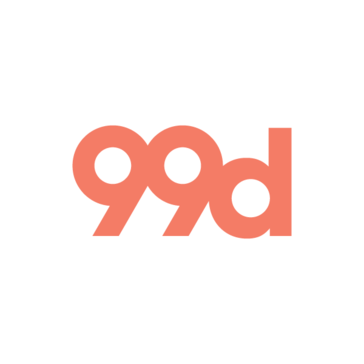 99 design is a great platform to communicate with thousands of professional designers and get the expected design perfectly. I used 99 design for many times to get the design for our logo, business card and packaging design. Creating a contest and managing is very easy and interesting. I can talk with the designers when I need to discuss and need to cooperate my necessity to them. A to Z of getting a design done is more easier in 99 design than other platforms. Always enjoy the cooperation with the designers! No exact idea about the refund policy of 99 design. I think the refund policy should more easier. We used 99 designed to get our logo and business card done when We ware started our new projects. Got quick response and quick service from 99 design. I got the final design as quick as possible. Like it to stay with 99 design. "Great way to get quick designs"
The logo contest helps you widen your horizon for design inspiration - designers compete for your approval and you can get to choose from far more options than if you just picked a single designer. Once you choose a winning design it is easy to continue to work with the designer to perfect your logo. It's pricier than working directly with a designer so if you already know what you want in the logo it would be better for you to find a cheaper option - this is just great if you are open to new ideas and aren't sold on any specific design yet. 99 design is a platform where contests sell and buy design services. The basic operation is that the person who needs a logo, a book cover, a product label, a web design ... is registered on the web, fill in your brief where you give the information of what you are looking for, decide how much you want to pay and Create a contest for 7 days. The first thing I have to say is that I do not like the theme of design contests. It seems to me that in any profession in which competitions are held, the professional is degraded and their work is not valued with dignity. An example: recently my sister calls me and tells me that there is a brand that she likes very much that she has opened a contest for designers to send their proposals for the bags of the new season (we are going to have a full-fledged packaging job). The prize: a € 150 voucher to spend on your products. 1º They will receive many more designs, it is a great variety of styles, that if they hire a professional so they do not have to think about the general concept, they save the art director. 3º You have to spend your prize if or if in your products, the money returns to your hands! There are different price packages, which means that the more you pay, obviously better designs will be received and there is even a plus package in which only selected designers with a great track record on the platform participate. During the contest week, the designers who sign up for their contest send proposals and receive feedback from the client so they can make improvements in their designs and be the winners. Once the stage of proposals has passed, the client has the option to close the contest and decide if he does not like any can leave the contest deserted or choose the designs that pass to a final of 3 days where the designers make changes regarding the feedback they receive and in the end there is a winner. "Great resource to find the best designs for your projects"
I really like that I can start a contest and get a wide variety of options and work 1:1 with designers during the contest to get their designs as close as possible to what we're looking for. I also really like that if I know what I want and I have a designer I've worked with in the past, I can work 1:1 with them and get quick projects across the finish line. I don't like that there isn't the option for me to create a profile that includes company information, what we do, and common documents I attach to my contests and projects. There are designers from all over the world connecting through 99designs. Sometimes there are language barriers but if you're patient, polite, and clear, you can make great things happen together. We don't have a large in-house creative team. We're a very small business and we don't always have time to create the assets we need for our marketing efforts. 99designs helps us get our projects done quickly and effectively. 99designs is platform where you can meet graphic designers and outsource graphic works such as logo designing at an affordable pricing.when we order we get multiple customized design options from which we can choose the one we like and thats a great option. the money back policy is great and you could get your money back if the submitted designs do not meet the criteria that youre looking for, the interface is something to talk about. its actually very beautiful and you could feel it too. the platform is very easy to navigate through and simple too. when designing there are several options available, we can give the requirements such as coulor and such and also there are several price tiers available from which you could choose the one that comes under your budget. also there are options to hire a single person or crowdsource the work according to the budget you have, you can also send the logo for revisions if you like. the customer service is great and always replies fast to your questions and i'm very satisfied with them. this is a great platform if youre looing for quality. the pricing isn't cheap too. "Great website for affordable, professional logos"
What I love about 99Designs is how simple and efficient is to run a logo design contest to get the exact logo you are looking for. The interface is extremely easy to use and allows you to comment on various parts of a design to give good feedback to designers. I've also found that their community of designers is very large and diverse which gives you a wide selection of options for your logo contest. I also really like that there is a money back guarantee which means you will always get a logo you're happy with. The one thing I don't like, is that when you archive designs in a contest, how there is an Archive wordmark placed over the designs. Sometimes I want to look back at designs that I have archived to make sure I didn't accidentally archive a design that I want. I would say the one thing that were hesitant about was the cost, but after a couple of contests, I would say that this is non-issue. The cost is definitely worth it, and you'll be glad you went with 99Designs. We have used 99Designs for two different logos. One logo is for our company and the other is for one of our products. Both times we received a logo that we were very happy with and not something we could have done ourselves. We have felt like the cost was more than worth it for the end product. I like the feel and easy way to access your work. I enjoy the flow. Not very easy to actually get a lot of work without putting a ton of time into it, if you have that sort of time. Currently, I'm not solving any problems with it, except maybe a possible outlet for some side income. We use 99Designs for many different projects. I LOVE the multiple designers they give us access to and the creativity. It's also really simple to use and if you ever have a question the staff is right there to help. Thus far I've found nothing that I dislike. Design for logos, images, book covers, ebook covers, websites, and more. The service is fast, creative, and reliable. "La web para los diseñadores"
El punto de encuentro de todos los diseñadores freelance. Puedes encontrar logos, ideas o todo lo que necesites relacionado con el diseño. Al pertenecer a una web donde todos pueden entrar, hay ciertas dudas, pero su atención al cliente las sabe resolver. Son un lugar de referencia tanto para diseñadores como ilustradores, además de poner en contacto a cliente y artista. There was an easy way to communicate with the designer, the platform was comfortable, and the end product was good. There were many hours spent organising with the designer, they seemed new to the process and there flow was choppy and felt unorganised..
Branding and identity was our goal. We realised working with a local designer face to face would be more efficient to understand the broader scope of the work, that way it would be a more organic interaction where we could ask more questions and have a better conversation. Numerous entries, unlimited reiterations, ability to get a number of designers providing their input to pinpoint the exact design. Very helpful when you're unclear on the directions you want to take with your design. Low overall quality of entries, most designers reutilize the same concepts over and over, a lot of copying, takes too much time to get your points across, since the people have different levels of language as well as different communication styles. Stay focused, do not allow the number of entries to overwhelm you, try to have a good idea of what you want before starting, otherwise you'll spend tens of hours sifting through dozens of sub-par entries. Rebranding, Graphic design for pront, and social media use. Fast turnaround, OK quality of work. You can set a rate that's within budget and willing designers who can meet that budget will create some work that you choose from and pick the one you like the most. It's awesome and get creative with your requests! The designers will surprise you! We sometime needs just random graphics or art on short notice and this makes it easy to get what we need fast and inexpensivly. "Delivers results but doesn't impress." The friendly usability of the platform is the upside of the product. It's extremely straight forward, you can edit your brief details at anytime, and message the entire list of designers working on your contest at once, as well as individually. I dislike the fact that the more feedback you provide, the less variety you get in the design options. The designers start copying the designs that you say you like and all designs start looking much like each other because they ultimately want to win the contest so they get paid. This removes the surprise element and I personally think that it defeats the purpose of having multiple designers working on your project. If you are looking for an outstanding logo for you brand that will add value and you will be truly happy with, don't choose the lowest level package. I can't confirm that the more expensive options will deliver a much better result but from my personal experience, the lowest level package will deliver a professional looking logo but yet not impressive. "High quality designs for your website or logo"
I love the variety and options that the numerous designers offer on 99designs. I am a big fan of simply telling them about your brand and designers creating logos based on your guidelines! I dislike the deadlines that 99designs sets. I would like more time to choose a design or collect additional designs. They offer guarantees of work so your downside is minimal. We started a new company and used 99designs for the logo and the website. Both have turned out exactly as we wanted. "Decent Options for the Price, But A Lot of Trust Involved"
I loved receiving numerous designs that I was able to accept and reject without going through rounds of edits. It was nice to have a non-objective party output what I wanted the brand to emulate. Being approached by so many developers after the contest. It was somewhat helpful at first, but now I just feel like my name and company are on a spam list we can't get off of. Be ready to make decisions quickly - know what you want to receive from the service and be committed to the process. Website design by creative, talented people that are looking to visually design what you verbally request. "99 Designs is one of our secret weapons"
The best thing about 99 Designs is the quality of talent on the platform. Other gig-based platforms have a wide range of talent, but 99 Designs trends towards the higher end. There's not much to dislike. We've always received what we've paid for and have been quite happy with the results. If you've tried other gig-based design services and been disappointed, try 99 Designs. We've always been happy with the results. We don't have regular design needs. 99 Designs gives us access to high quality talent on an as-needed basis at a fair price. Having multiple options to choose from for your final design is a great aspect of this service. Frankly, I have had no issues with 99Designs. Fingers crossed it stays that way! I used them to create a logo that was professional looking and cheap enough to be a good deal for a startup. "Not a serious platform for design work"
It is cheap and easy to use. You get a lot of options. Quantity just can't make up for quality when you need design service. I've been trying to create good brand design elements like logos, typography, collateral and brand standards. "Chipping away at the legitimacy of a whole industry"
Its not worth it, as a professional you should look for a place where a client will give you fair value for your skill and expertise. This is not it. "great site, found some great artists"
i was able to find a really great designer for our real estate logo. honestly, not much. I thought the pricing was pretty fair. Very good option for finding the right designer for your company , team, or any organization's logo. well we now a have a logo that catches a customers eye when thinking about buying or selling real estate. We had this done two years ago and still use it and get plenty of compliments. Easy interface, very user friendly. I don't have anything negative to say. "Good use of open innovation"
"Ok, but not the greatest options"
Lack of quality options that were given to my client. * We monitor all 99Designs reviews to prevent fraudulent reviews and keep review quality high. We do not post reviews by company employees or direct competitors. Validated reviews require the user to submit a screenshot of the product containing their user ID, in order to verify a user is an actual user of the product. Hi there! Are you looking to implement a solution like 99Designs?